The small community of Las Palmeras offers an idyllic location situated close to all the amenities of La Manga Club. With a choice of two and three bedroom apartments, Las Palmeras is located next to the community pool and is only a short walk from many local conveniences, including a supermarket, hairdresser and pharmacy. There are also plenty of bars and cafes nearby, which provide an excellent variety of dining options perfect for your 2018 holiday. 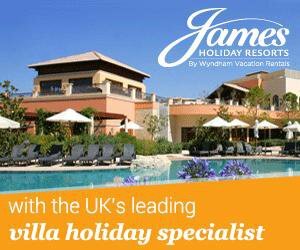 More Las Palmeras accommodation* available at from just £64 per night. Residents can indulge in pitch and putt at Par 47, and also try a variety of other leisure facilities, including a tennis centre, football pitches and a Juniors Club. Las Palmeras is designed to place visitors in the heart of the community, yet remains a peaceful haven of tranquillity, making this community the ideal choice for both couples who are looking for a peaceful retreat and families in need of a child friendly environment. The apartments at Las Palmeras are elevated on two tiers to offer lovely views of the complex with its well maintained gardens and pathways and also the surrounding countryside. Apartments have been designed to be spacious and open plan and have been decorated in a clean, contemporary style, providing a beautiful and secluded space in which to relax. Each apartment is fully furnished and fitted with a variety of household appliances, including air conditioning and heating. Apartments also feature a large, covered sun terrace for enjoying private barbecues and large dining areas, which are perfect for entertaining dinner guests.